Burgos Wind Farm is a wind farm in Burgos, Ilocos Norte, Philippines. 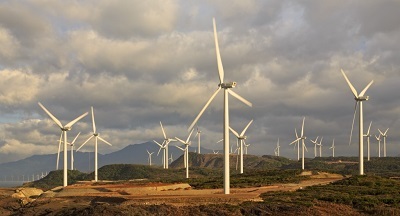 It is the second wind farm built in the province of Ilocos Norte. The wind farm was commissioned in November 9, 2014 and upon its completion begin of 2015 it became the largest wind farm in the country and in Southeast Asia, covering 600 hectares and three barangays of Burgos, namely Saoit, Poblacion and Nagsurot.